VK is a social media/social networking website based in Russia. VK has over 400 million subscribers. Obtain a VK developer’s account from https://vk.com/dev. 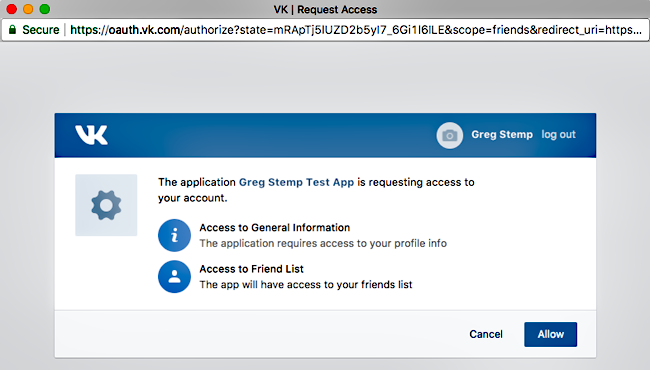 Open a previously-created VK app, and copy the application ID and secure key. 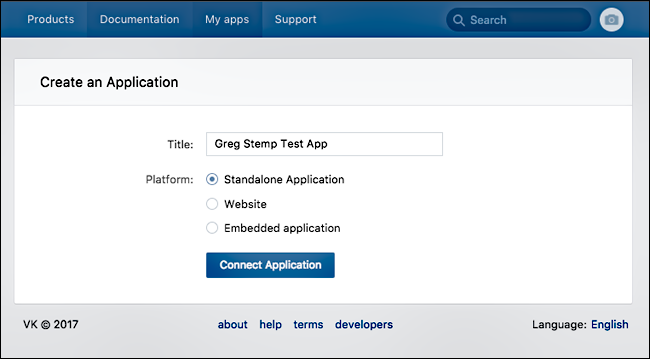 Create a new VK app and copy the application ID and secure key. 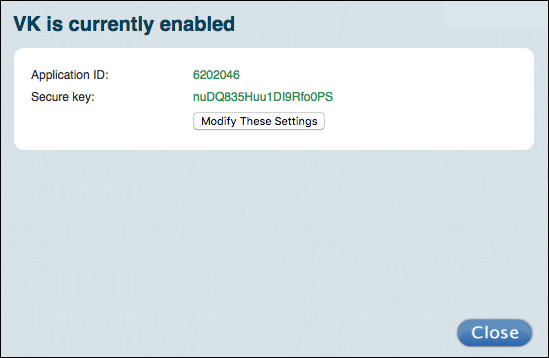 Use the Social Login Dashboard and the VK application ID and secure key to configure VK as a social login provider. 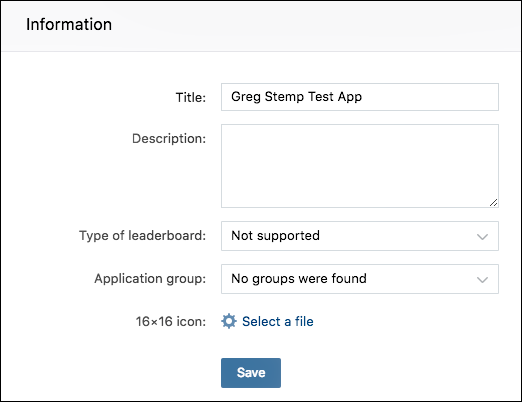 This section walks you through the process of creating a VK app for social login. 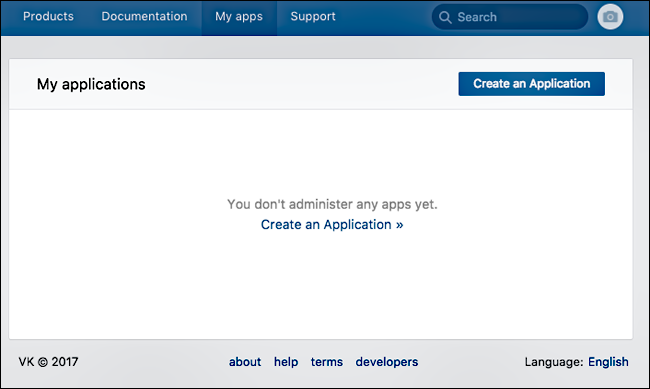 If you already have an app, see the Using an Existing VK App for Social Login section of this documentation. Log on the VK Developers site (https://vk.com/dev). Your website URL in the Site address field. Your “base domain” (your website URL minus the HTTP:// or HTTPS:// protocol) in the Base domain field. Your VK redirect URL in the Authorized redirect URI field. If you are using a standard Identity Cloud domain, your redirect URL will look similar to this: https://greg-stemp.rpxnow.com/vk/callback. Log off from the VK developer’s site. Log on to the VK Developers site (https://vk.com/dev). Log off from the VK Developers site. From the list of Providers, click VK. 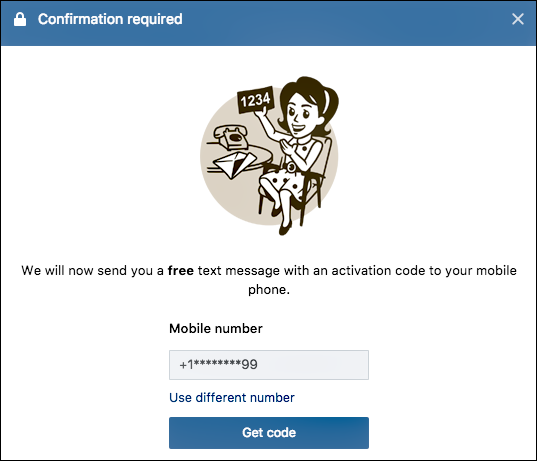 Paste your VK application ID in the Application ID field, paste your VK secure key in the Secure Key field, and then click Save. VK appears in your social login widget. When you are finished, select Save and Publish and then click Publish. 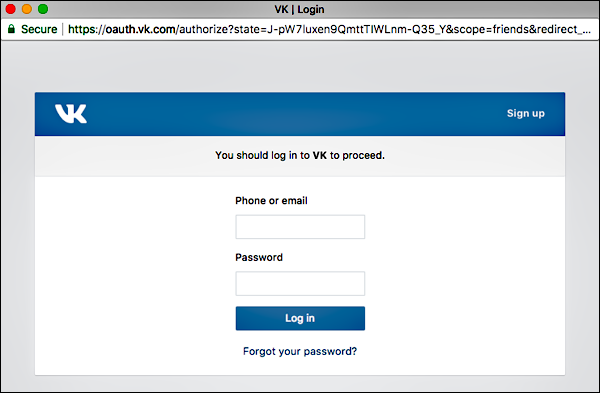 It might take as long as one hour before VK appears as a social login option on your web site. The VK account used in the test. The profile information you requested for VK. From the Configure Providers page, click VK. 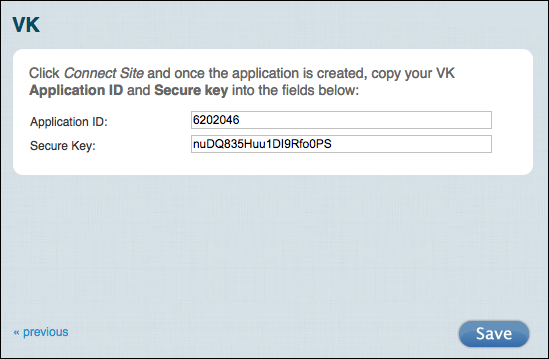 Fields not marked with an Off or an Ask label are automatically returned when a user logs on using a VK account. 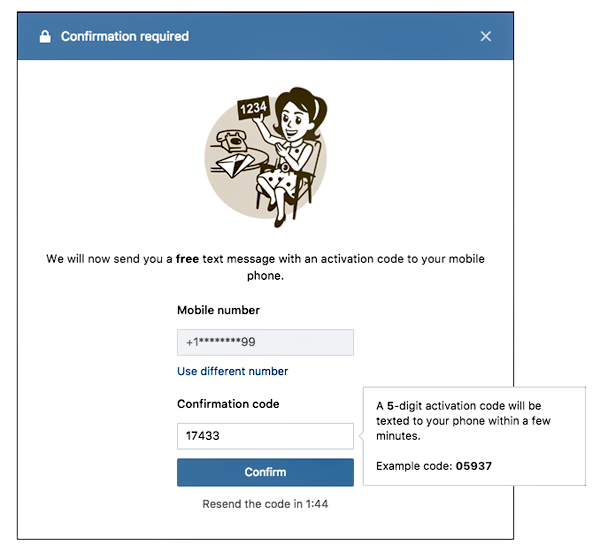 The user can either click Allow to forward all the requested information, or can click Cancel to terminate logon. To change the VK configuration, click Modify these settings. Although you can modify your VK settings, you cannot delete those settings. If you delete the settings and then try to save your changes, you’ll see the error message Please enter your Consumer Key and Secret exactly as VK shows them. 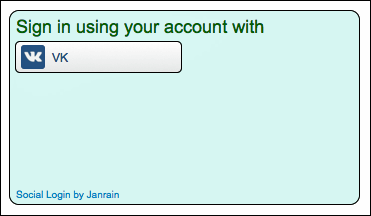 This means that you cannot “unconfigure” the provider: once configured, the VK icon will always be shown as green (i.e., configured) in the Social Login Dashboard. In the widget, click the X in the upper right corner of the VK icon. Scroll to the bottom of the page, select Save and Publish, and then click Publish. VK no longer appears in the sign-on widget.